Here in Stagparty HQ we are constantly working to take the stress out of planning the stag. We are well aware organising all the lads to pay money into, usually the Best man’s account can be difficult. So we are delighted to announce that we are now offering a Pay Individually option on our stag party packages. The process is simple lads. Give us a call on 051390383 or email us on info@stagparty.ie, pick your stag party location, choose your activity, and then just get the guys in the stag party group to login and pay. Easy! No more chasing lads for money or wondering who has or has not paid yet. Because no one likes hassling lads for money. 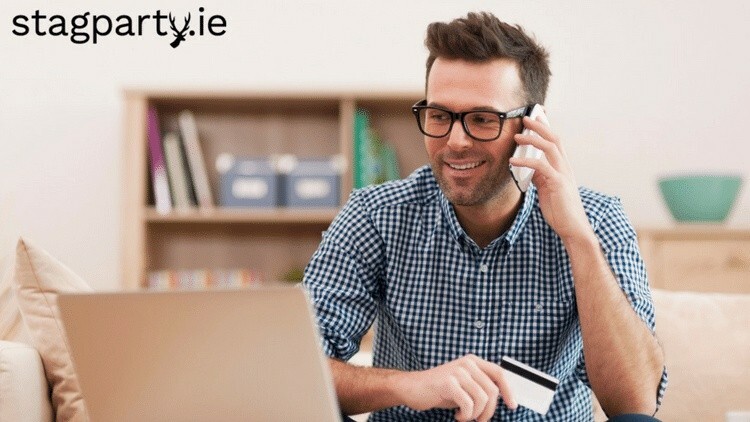 The lads make a simple online payment in their own time and all you have to do is prepare yourself for a great stag party weekend. So spend less time pretending to be the stag party groups accountant and spend that time planning the stag party pranks and games. Or what costume to dress the groom up in and you can also figure out the perfect pub crawl route in that time too. The important stuff really. So what are you waiting for lads! Contact us today and let’s get the ball rolling on organising your epic stag party weekend.